Remember the old days? There was just sales and support. And the line between the two was pretty clear. Then came customer success, and things got a little murky. Yes, we’re quoting ourselves. We made that distinction in a previous post, “SaaS Customer Success: The secret to reducing churn and increasing MRR,” but understanding where sales, customer success, and support roles end and the others begin can be a little confusing. Each role is extremely important for your business’ success, but the focus and goals for each of those three roles is very different. 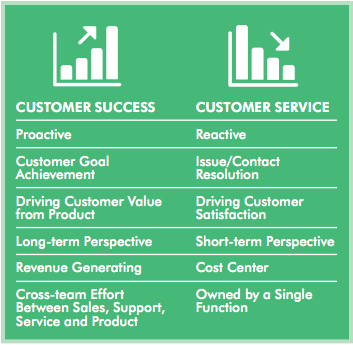 How are inbound sales, customer success, and support roles different? Where do the roles overlap? How does each role function? And most important: how does role clarity makes your business more successful? 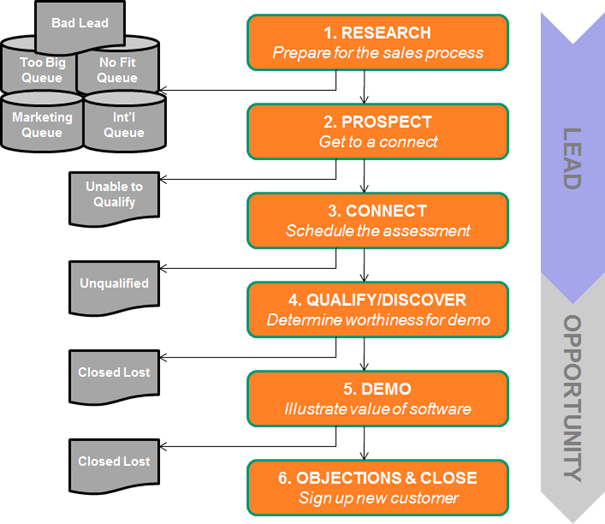 Inbound sales roles are specific to the acquisition part of the customer lifecycle funnel. These roles are focused on new business. The inbound sales role is “about being effective in the short term and building and managing revenue-driving relationships,” says Lex Sisney, creator of Organizational Physics. While closing sales is priority, it is important to note the inbound sales role can also include documenting value proposition and use cases for customers, and qualifying or assessing leads. Not surprisingly, sales is the ultimate metric for the inbound sales roles. Sales as a metric isn’t just about the number of leads who convert, but also the sales amount. For instance, if one sales rep closes 20 customers and each is on a $10 plan while another sales rep closes 5 customers but each is on a $100 plan, the latter is bringing in more profit dollars. For subscription businesses, key metrics will be MRR (Monthly Recurring Revenue) and/or ARR (Annual Recurring Revenue). Once a prospect has converted, sales passes them to customer success. It is mission critical that inbound sales and customer success work seamlessly to create “a fluid, natural transition from visitor to customer to evangelist,” writes Ryan Law, Cobloom co-founder and CMO. Customer success takes over from sales after a lead converts, and their work involves both the engagement and retention portions of the customer lifecycle funnel. There are times customer success also assists with the acquisition phase of the funnel. When is there a gray area between sales and customer success? Inbound sales works to close the deal. But, when there is a trial, inbound sales’ first job is to get the prospect to say “yes” to trying the product. At the point the prospect converts to a trial user, customer success is often brought in to onboard new users and help them see the value in the product – otherwise known as the user’s “aha moment”. Because a trialer is not yet a paying customer, this is where sales and customer success overlap. The sales team would still “own” the user and be in charge of nurturing the relationship and converting them to a paying customer. The conversion to paying customer (whether or not there is a trial) is the clear handoff point; at that point sales typically relinquishes the customer to the customer success team. “Excellent onboarding is the cornerstone of customer success,” says customer success strategist Dan Gamito. Even after initially onboarding new customers, customer success continues to help ensure customers are getting the maximum value from the product. Customer success employees are similar to Account Managers because they handle scheduled business reviews and monitor overall customer health. Customer accounts should be assigned to individual customer success team members to ensure there isn’t any overlap (i.e. both Jane and John are monitoring Company A). Assigning customers also provides a more accurate way to measure the success of each individual team member (we’ll discuss this more in the key metrics section). “Customer success is a new role born from the need of subscription and lifetime focused business to retain and grow their existing customers,” explains Guy Nirpaz. As such, their priorities are to decrease churn and increase recurring revenue. In the retention portion of the customer lifecycle funnel, they proactively monitor for accounts at-risk of churning and those that would benefit from an upsell (or even a downgrade). Being proactive is a key difference between customer success and support, which we’ll discuss shortly. Customer success should “develop a 360 degree view of every customer to identify red flags that indicate a customer could be in danger of churning,” advises our own Suzanne Gedney, Chargify’s Director of Customer Success. “Data from your CRM, help desk, marketing, NPS replies, usage data, financial information, and feature requests” all help inform of at-risk accounts, according to Gedney. With key functions of the role being to reduce churn and increase revenue, it won’t come as a surprise that churn and retention are key metrics for customer success. Both of these metrics tie into of one of the most important metrics for customer success: Customer Lifetime Value. Because customer success isn’t something you simply rename your support team, let’s look at how the customer support role is unique. Yes, customer support and customer success are both active in the retention part of the customer lifecycle funnel. While customer success focuses on proactively helping the customer succeed, customer support is a reactive role. By “reactive” we mean support is usually responding to individual product issues for specific customers. Something is “broken” for the customer, and support provides a “fix” or solution. 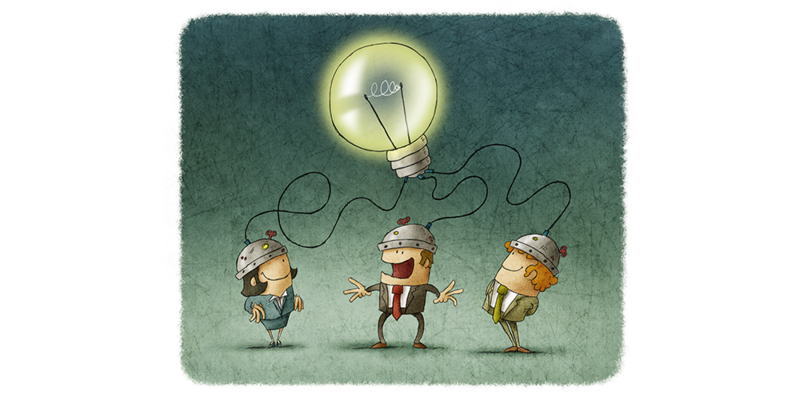 “Keep in mind that your support team isn’t designed to generate new revenue. Rather, it’s a lifeline to keep critical use-cases up-and-running for customers. Great customer support teams are value drivers because they have a massively positive effect on customer retention,” says Gamito. Certainly, a common support metric is the number of support tickets closed. You’ll also want to do a deeper dive and look at support response time, time to resolution, and the quality of the support (and resolution) provided. Many regard support response time as a vanity metric, and we would agree that a more important metric is Support Satisfaction Rating. It is likely that you’ve received a Support Satisfaction Rating survey when you’ve required support from another company. The surveys are well-known for the “sad, straight, or smiley face,” but response options may also include a qualitative rating or a thumbs up/thumbs down. With the feedback you can quantify how happy customers are about the support your team is providing. If you have a lot of customers unhappy with support, you have a problem and you need to fix it to avoid increased churn. At Chargify we’re proud to have a 98% satisfaction rating! Ok, so you understand why inbound sales, customer success, and customer support aren’t synonyms. But it is more than that. There are a number of benefits that occur when you correctly segment these three roles and their separate functions. Turns out, it applies here as well. “The single most important thing a SaaS business can do to scale revenues is to segment its roles into distinct focus areas,” advises Sisney. When there is a distinction regarding how these 3 roles are different, then team members are more productive and efficient. They understand where they need to place their focus and why. When you clarify the roles, the processes associated with each role also become more defined. You can expect the customer transitions throughout the lifecycle funnel to be more seamless as a result. That’s a win-win for you and your customers! While there is some overlap between the roles of inbound sales, customer success, and customer support, they remain three distinct roles with separate functions and goals. Each role is extremely important to the overall success of your business and knowing where to draw the line between each can increase recurring revenue and reduce churn. Where does your business draw the line? Do you have all of these roles in your company? Where do they overlap in your own customer lifecycle funnel? Let us know in the comments below. We always enjoy hearing from readers!